A Planters original, these salted peanuts are seasoned with pure sea salt Each peanut is carefully skinned and peeled and then finely seasoned with sea salt to enhance the natural nut flavor. 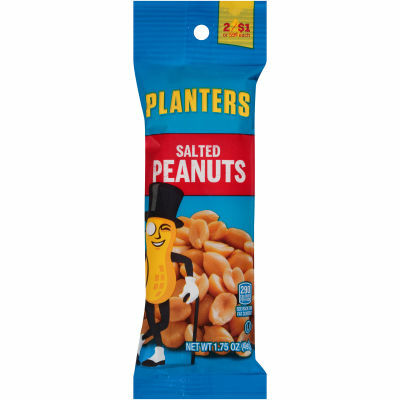 - Planters Salted Peanuts are a snacking staple and this conveniently sized 1.75 oz. bag is perfect for enjoying on-the-go.